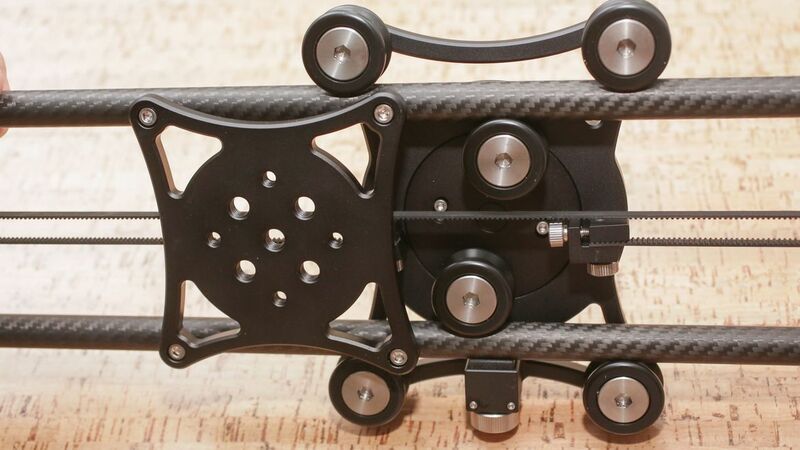 The Rhino Slider EVO Carbon is a highly versatile camera slider that can adapt to your shooting needs. The system includes lightweight carbon fiber rails that support loads up to 15 lb, which can be swapped for optional 42" rails when longer slides are required. Additionally, optional stainless steel rails are available for when you need to support heavier loads. 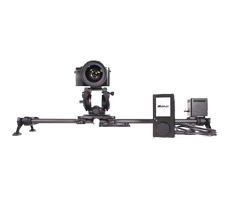 The slider can also be upgraded to a motorized system with the addition of the separately available Rhino Motion, allowing you to capture smooth live motion and time-lapses with a single motor. 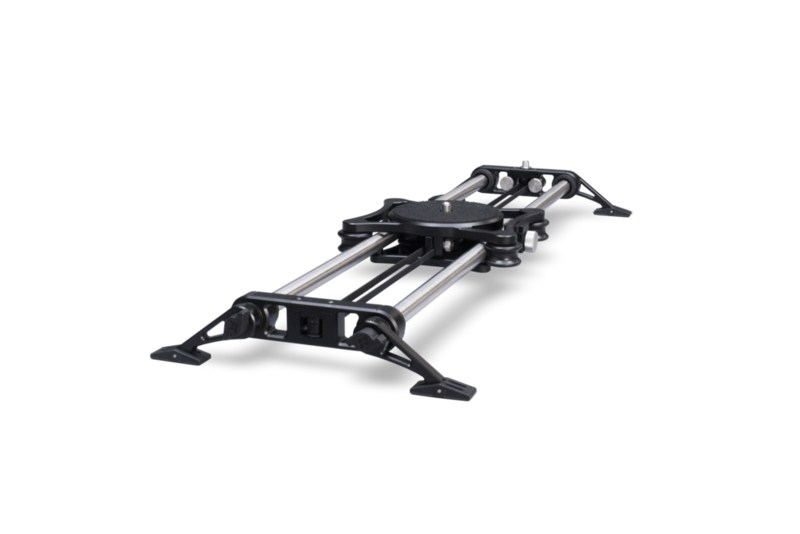 The Rhino Slider EVO features a 3/8"-16 screw on the camera carriage for attaching a ball head or flat-base fluid head. It can be center-mounted on a tripod via 1/4"-20 and 3/8"-16 threaded holes in the center of the rails, or supported using two tripods or stands via 1/4"-20 and 3/8"-16 threads at the ends of the tripod. 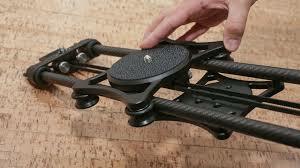 You can also setup the slider for ground-level or table-top shooting using the included spring-loaded legs with index marks. The legs fold up for compact storage.